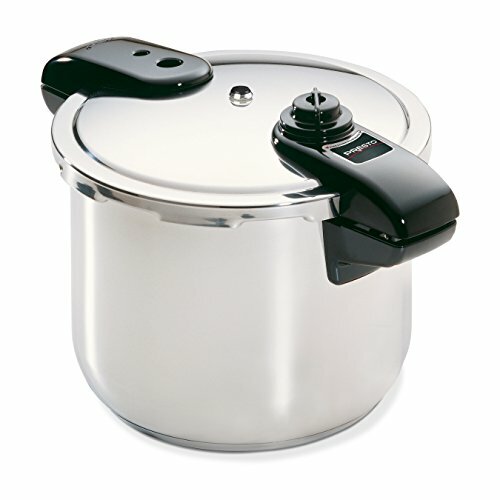 You will find two types of pressure cookers sold today, electric and stove top versions. The electric units provide a number of pre-set pressure settings while the traditional stove-top model must be manually controlled using the stove. What that means is that electric pressure cookers tend to be more straightforward to use and a lot more flexible because you can use them for steaming and slow cooking. Pre-set settings enable to select cooking programs to cook meat, fish, poultry, soup, rice and more. Additionally, electric pressure cookers are safer and they can be used anywhere in your kitchen. The electric pressure cooker models are receiving raging reviews everywhere and might surpass the stop-top cookers in popularity. You need to keep in mind before you rush out to buy your electric pressure cooker that the traditional stove-top units will provide convenience and value for money. Also, you can use a stove-top as a cooking pot and that might be ideal for many of you out there. 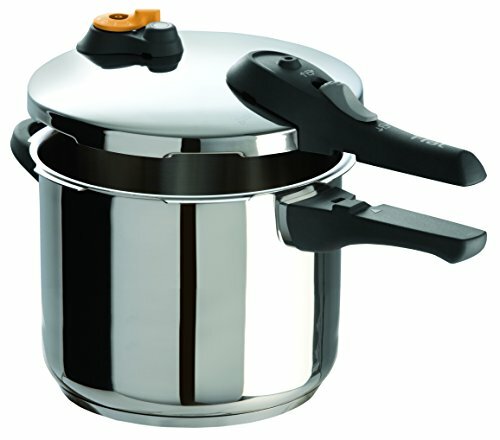 But, what are the actual pros and cons of using electric pressure cooker? Taking into account the PROS and CONS of having an Electric pressure cooker, the bottom line is that it will provide users with the option to multi-task. All you have to do is set your pressure-cooker to you preferred cooking method and then focus on other activities around the house. When you finish your daily routines, your meal will be ready. When compared to stove-top pressure cookers, you’ll discover fewer high quality electric pressure cookers to choose from. It did mention above that electric pressure cookers are getting more and more positive reviews. The reality is however, that stove-top cookers are still favored among users. Nevertheless, electric pressure cookers are fantastic aids for novice cooks and those who give importance to convenience and comfort. Both types (electric and stove-tops) will make delicious meals but you have to know what brand to buy to get the best results. Below are the most popular and best quality electric pressure cookers that are available on the market today. If you are searching for a pressure cooker that will give you freedom in the kitchen, then you might want to consider the Emeril CY4000 by T-fal. This trusted electric pressure is exclusively designed to provide you and your family with tasty and healthy meals in just a matter of minutes. Therefore, the Emeril is indeed a true stress reliever because it will prepare your meal in a quick and proficient way. In addition to the undeniable fact that it makes your foods at a fast rate, you won’t need to worry about cleaning it after cooking because it is completely dishwasher safe so you are able to focus on other activities around the house while your dishwasher cleans up the mess after cooking. The Emeril CY4000 is specifically developed with an automatic objective in mind, meaning that there is no need for you to concern yourself with wasting over 2 hours in your kitchen after a hard day at work. The majority of folks keep worrying about the safety of pressure cookers but the T-fal team has you covered there. The CY4000 is designed with a cutting edge technology that includes a lid that will automatically lock itself while the cooker is in operation and it will be impossible to open if the cooker still is pressurized. One of the great ways of how the Emeril CY4000 can make it easier to prepare any meal is the versatility of cooking ways it provides. You can prepare anything from appetizers to your favorite dessert and you will receive top-rated results every time you use it. As easy as pressing a button, you are able to cook and fulfill all your family needs for the meal. On top of this, it also includes a function that enables the pressure cooker to be in stand-by mode after cooking to keep you food warm. Additionally, there’s an alarm clock that beeps as soon as your food is ready to be served. With your purchase, you will receive a 6-quart capacity non-stick and dishwasher-safe cooking pot that has an automated control mechanism to regulate the temperature and pressure level while you are cooking. These three pre-set programs are browning, simmering and sautéing. It also has a digital LED countdown timer that will start automatically when the cooker is under pressure so you will always know how much time is left of the cooking process. For safety, the cooker is equipped with sealed locking lid to ensure your safety in the kitchen. Also, you will get a steam basket and condensation collector with you purchase. What’s more, you will get an extremely powerful but safe 1000W pressure cooker with recipe book that has around 47 recipes and of course, in case you run into any problems you will get 1-year limited warranty. In conclusion, this pressure cooker will provide you with comprehensive controls, lots of space to prepare your meal and a variety of safety features that are important to have at your fingertips. That being said, this electric pressure cooker is the perfect kitchen tool for you if you want comfort, satisfaction and safety in your kitchen. At this price, you won’t regret having this appliance in your kitchen. 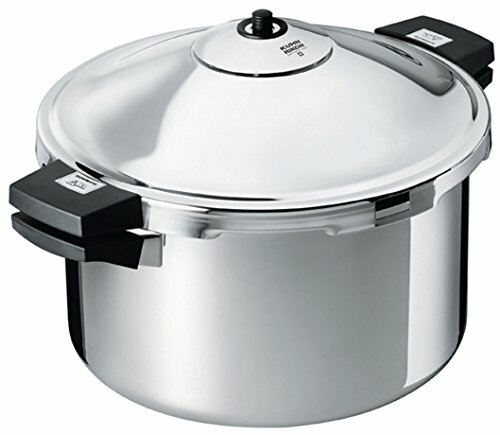 Here comes another electric pressure cooker that you should definitely consider, the Cuisinart CPC-600AMZ. It is extremely efficient cooker at a reasonable price and has been receiving excellent reviews, making this model not only one of the most popular brands, but also one of the leading pressure cooker models out there. The CPC-600AMZ is packed with features such as push-button controls, a practical digital display along with a precision thermostat and a 99- minute countdown timer. The side handles will never become hot as they feature so called cool-touch technology, making sure there is no risk of getting burned from touching it so you are able to safely and easily move the cooker around the kitchen. With all the features included, this cooker is truly a multi-kitchen appliance. It does not only cook with pressure but also browns, sautés and simmers so it is quite adaptable to you cooking needs. All cooking methods are extremely easy to perform as the cooker comes with built-in settings for each of the cooking methods. Also, another feature that you won’t find on many electric cookers out there is the HIGH and LOW pressure setting. With two settings, the cooking process will be much more efficient than if you were using a unit with just HIGH pressure level. You want to have a pressure cooker that starts cooking using HIGH pressure and when cooking is done, it should switch to LOW pressure to keep the food warm. What I like the most about this particular device is how energy efficient it is. It will cut down your energy bill quite massively. It will cook very quickly, and for that reason it will use around 70% less power than the traditional way of cooking on stove. Additionally, It’s also a nutritionally beneficial pressure cooker because the food that is being cooked inside of the pot will retain more vitamins and minerals than you would ever receive cooking the traditional way. Overall, this product is praised for its ease of use, simplistic instruction, handy functions and of course its safety features. Safety is among the first priorities of the Cuisinart CPC-600AMZ. It must be sealed and properly locked in order to operate. It will never unlock unless the pressure is at absolute zero. It includes seven built-in safety features, so there is nothing that can go wrong using the 600AMZ. 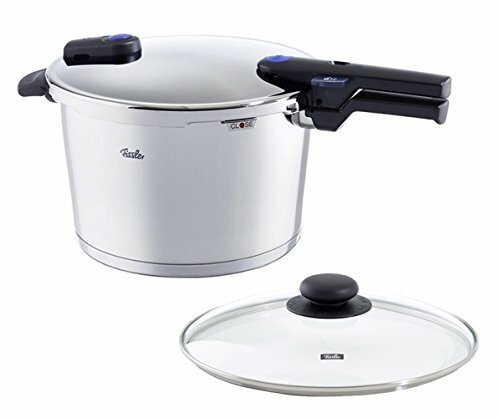 For this mid-range price, giving all the positive reviews, it is safe to conclude that this particular electric pressure cooker is extremely user-friendly and does indeed an outstanding job in the kitchen where you are able to prepare soups, stews, pot roasts and other delicious meals that will guarantee tasty and healthy results every time. The MaxiMatic EPC-807 measures 15 x 15.2 x 15 inches, will hold up to 8 quarts and weights around 18 pounds. 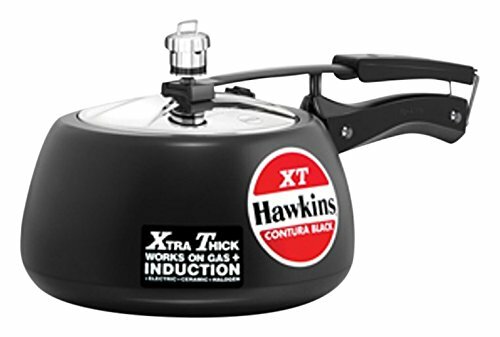 With your purchase you will receive extremely well-built constructed pressure cooker with stainless steel non-stick coating to ensure that you can clean up quickly and easily after cooking. All the different functions that this unit provides are actually quite spectacular. It’s got 6 various functions for potatoes, rice, grains, meat, soup, browning and beans. By using these 6 preset functions, you are able to cook a variety of dishes for the whole family. Apart from these features, it includes a manual operation and a 9-hour delay timer, a keep-warm function that will enable you to keep the food warm after the cooking is done. Using the 9 hour delay timer will give you the benefit to program your cooking in advance. That way, you are able to set it to start cooking at night and then wake up to a tasty morning meal. In addition, you’ll be able to personalize your cooking configurations with this device as you can program the pressurized cooking timer from 0 to 99 minutes. Overall, the MaxiMatic EPC-807 Elite Platinum 8-Quart Digital Pressure Cooker is amongst the best values that a pressure cooker can offer and will be an ideal add-on to your kitchen. Should you be looking for an electric pressure cooker that is simple to use and will not set you back a great deal of money, then you will need to give thought to the MaxiMatic EPC-808. You will be able to feed a mid-sized family easily because of its 8 quart capacity. Besides, it will be extremely easy to clean up after use as this unit is dishwasher safe. On top of that, It is efficient, safe and quiet in all operation. What’s even better, it will cook a large chunk of chicken or meat without any difficulty in just a fraction of a time! This Fagor Stainless-Steel 3-in-1 6-Quart Multi-Cooker is definitely a tremendously convenient and specific kitchen multi-tasker. It is particularly suitable for kitchen areas that are short of space. As the name suggest, 3-in-in multi cooker basically means that its stainless-steel pot has highly accurate settings for pressure cooking, slow cooking and rice cooking. Using this cooker is very easy because the only thing you need to have in mind is to set the timer and let this multi-tasker finish up the job. You do not need to wait around, monitor or frequently adjust the temperature settings to keep the perfect pressure level because the cooker will do all the work by itself. Having the slow cooker feature is very useful because it’s exclusively designed to cook evenly all day long and the cooker will maintain a steady flow of low heat throughout the cooking process. Also, the Fagor features a delay start timer that can be set for up to 8 hours. You additionally have the option to set the 9.5 hour timer at periods of 30 minutes. As soon as the timer runs out, the cooker will beep and automatically adjust to warm setting. With the rice Cooker function, you are able to steam your desired rice recipes very quickly just with a touch of a button and your delicious rice will be ready in just 5 minutes. This product is wonderfully versatile and detailed in a variety of settings. The user friendliness provides it with a feeling of dependability. This Fagor electric multi cooker is produced from a stainless steel and includes a 6-quart capacity with a removable cooking pot which is ideal for the dishwasher. The stainless steel is a non-stick coating meaning that cleaning is extremely easy because any food leftovers will just wash off easily. The consistent instrument panel can be wiped off with a wet cloth. As for the external area of the cooker, the stainless-steel surface can be easily cleaned and maintained by using warm water and soaked fabric. That being said, if you are planning to invest in this multi-functional pressure cooker, then you are going to be amazed with your cooking results. 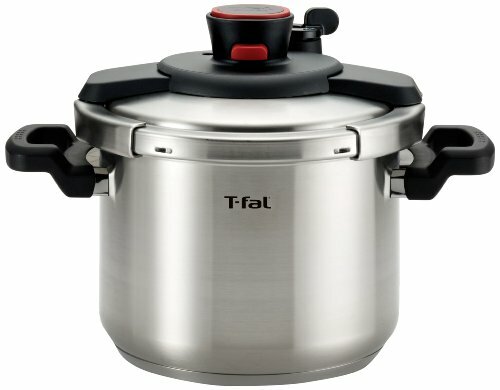 I can comfortably recommend this pressure cooker to anyone that is looking for an all-in-one kitchen device designed to virtually replace your stove. With regard to reliability and budget friendly price, it is safe to conclude that this product’s overall flexibility will outperform the majority of electric cookers available and it will save space by offer the All-in-One feature. The Fast Slow Pro pressure cooker by Breville releases pressure on its own and gives you the ability to choose the pressure, cooking time, opening method and if you prefer to make use of the Keep-Warm function right at the beginning of the cooking procedure. Basically, you just have to be there to press start and then open the lid to serve the meal after cooking. This electric cooker is a revolutionary pressure cooker compared their earlier model named the Fast Slow Cooker. Nearly all electric pressure cookers available today only include a sensor in the base pot to measure the pressure level but this one stands apart from others because it also includes temperature sensor in the lid. Altogether, these detectors will provide you with a complete awareness of what truly is happening inside the pot and is also an extremely useful safety feature. This unit has many beneficial features that will come in handy in your kitchen. The Fast Slow Pro includes a dual sensor at the top and at the bottom of the bowl that will provide more precise pressure and temperature control. Having a color changing LCD will make sure you always know when the cooker is in pressure mode, cooking mode or when it is releasing steam. More benefits are the 2 slow cooker settings that will trigger the Keep-Warm function automatically once it’s done cooking so the meal will always stay warm. One of the greatest features of the Fast Slow Pro is the automatic pressure release function. You are in total control at the beginning of the cooking process and you are able to fully program the pressure, opening method, time and the keep-warm feature. All you have to do is to set your preferred cooking method with just a push-of-a-button and then you can focus on other activities around the house and return when the food is cooked. With this electric pressure cooker, you are not only pressure cooking. You can slow cook, steam, reduce, sauté and sear all in one unit and just with a simple press of a button. With the interactive LCD display you will see all the information you need to know like when it is building up pressure, when it is cooking and when it is releasing steam. The Fast Slow Pro from Breville can be described as a yet another breakthrough in automated cooking. Here’s a pleasantly impressive cooker that you will never be forced to keep hidden in your kitchen, making the Fast Slow Pro an ideal kitchen gadget that causes the pressure cooking and releasing process to be completely automated. 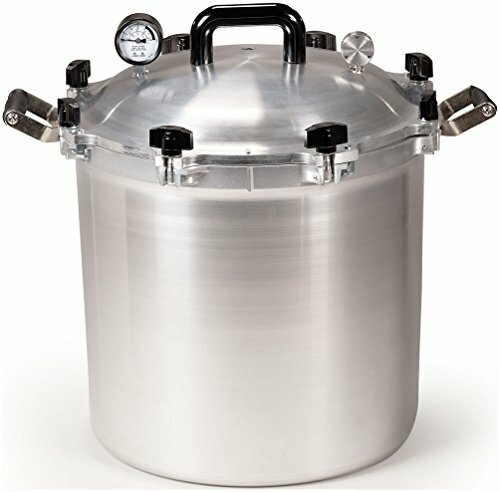 This 8 quart stainless steel electric pressure cooker holds more quantity than the average stainless steel pots out there. A truly versatile cooker that exhibits today’s technology and convenience given that it was designed with the features that are extremely beneficial and will help you to cook more effectively. 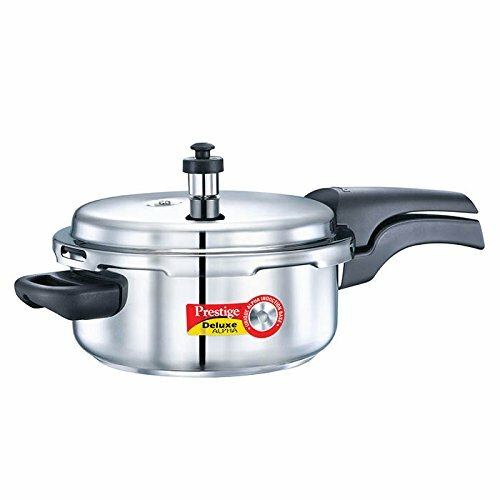 It was developed with durability and high quality in mind and constructed with sturdy stainless steel inner pot and exterior to ensure max reliability. 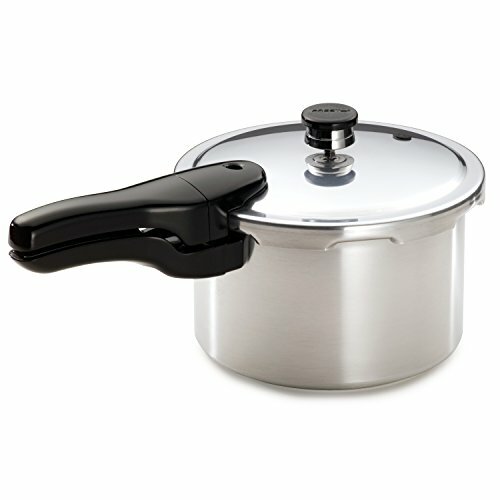 It is a 6-in-1 pressure cooker that can also operate effectively as slow cooker, warmer, rice cooker, sauté and steamer. 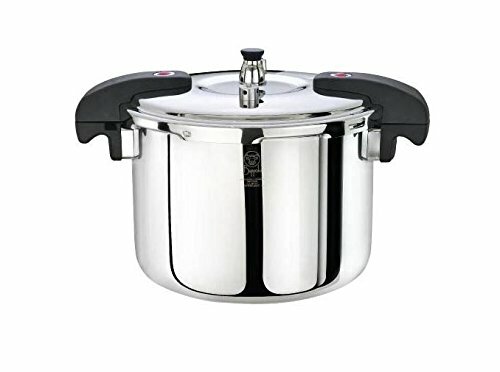 One of the most useful functions of this pressure cooker is how you can cook bigger servings as it is quite bigger (8 quarts) than the traditional 6 quart pressure cookers. Hence, perfect cooker for big families and parties. It is extremely user friendly in all operations and you are able to cook tasty meals in minutes with just a push-of-a-button. If features the Cool-Touch comfort side handles that will avoid any risk of burning your hands if you need to move the cooker around while it’s still hot. 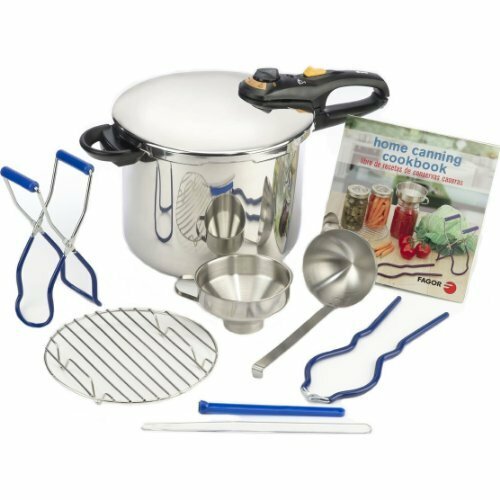 By investing in the Stainless-steel Cooking Pot 6-in-1 you will basically receive all compact gadget that you will regard as an important element in your kitchen. This kitchen appliance will produce the healthiest meals for all your family members. To keep you on the safe side, your purchase is backed-up with 1 year warranty to keep you covered in the unlikely event you run into any trouble using the device. It won’t just give you a roomy kitchen space but also brings sophistication to your kitchen as a result of its cutting edge elegance and magnificence. 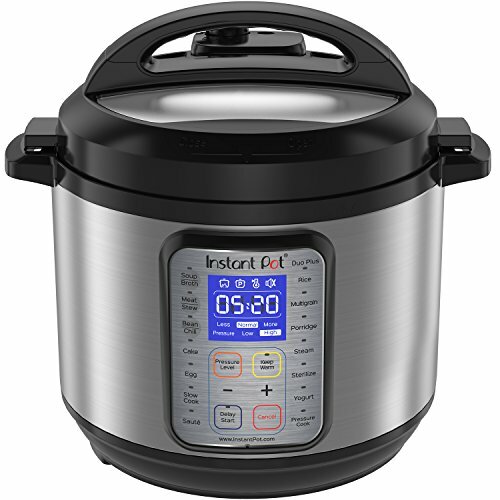 Here is the Instant Pot’s latest brand that draws on the achievements of their previous DUO model that included 7-preprogrammed functions. However, this particular unit has taken pressure cooking to a whole new level and it has become a smart-cooker. Now you can download an app that lets you take control through your smartphone where you can set the timer, the pressure level and the temperature over Bluetooth. You need to download a free iPhone/iPad/Android app to be able to completely and easily control the cooking process through your device. Bear in mind that you don’t need the app to operate the Instant Pot Smart. 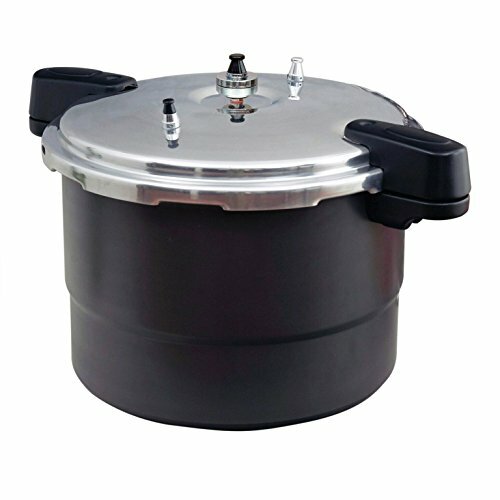 It will work flawlessly as a normal multi-functional pressure cooker without any smartphone/tablet input. This beneficial Bluetooth Enabled technology gives you the ability to program and supervise this cooker from your smart-phone or tablet. What’s more, you will cook faster, efficiently and you will cut on your energy bill as well. Just like previous models, this particular unit is truly a multi-functional pressure cooker that works also as a yogurt maker, rice cooker, porridge maker, warmer, slow cooker, sauté pan and more. One of the top features of this pressure cooker are the14 integrated smart programs along with 3 temperature programs that are ideal to slow cook, sautéing and the Keep-Warm function. In case you are prepared to bring in hi-tech gadgets to your kitchen, then the Instant Pot IP-Smart is definitely the choice for you. You’ll be able to simultaneously program the cooker (using one of the 14 built-in programs) and monitor it with a downloadable app. As I did mention above, you don’t need the Bluetooth function to get top-rated results, so don’t let the wireless technology scare you away. You will get a fantastic stainless steel pressure cooker with an automated Keep-Warm function, slow cooking and sautéing settings. Having said that, with all these features included, this price is a steal! One of the top-rated electric pressure cookers is now available for sale. The EZ Bean Cooker stands out as the king of electric pressure cookers, where you can cook delicious beans and vegetables within minutes. Along with a display panel that’s easy and simple to read, it will offer you endless variations of different menus to cook. There are so many people out there that just don’t want to cook beans because it takes so long time, but the EZ Bean Cooker eliminates this problem. Safety is always a concern with pressure cookers but this pressure cooker is packed with safety features. Among the many safety functions is the silicone gasket that will lock-in and seal the lid of the inner pot. Therefore, in case it doesn’t lock-in properly, the cooker simply won’t start pressurizing. Yet another brilliant built-in safety measure includes the release valve that will automatically release pressure if it reaches dangerous pressure level. Moreover, you are able to adjust the pressure limit so the valve will automatically release at your preferred pressure level. To top all that, you’ll find an anti-blocking shield to prevent the valve from clogging. As I mentioned above, many people are concerned about safety using a pressure cooker. However, this particular one is one of the safest brands out there. You can rest assured that there is absolutely nothing to worry about when operating the EZ Bean cooker. In addition to safety factors, user-friendly usage and easy clean is guaranteed. You’ll be able to select if you want to manually set the time or let the cooker automatically set the cooking time. Once the timer rings, it shifts to a Keep-Warm mode that lasts up to 90 minutes. Basically, there are 3 easy steps to follow when cooking a pot of beans or rice. When considering electric pressure cookers, this is one of the most rewarding electric pressure cookers available. The absolute usefulness together with effort and time saving benefits, will trigger delicious meal that won’t disappoint. People who are looking for a pressure cooker that will do everything, the IP-DUO60 will be their perfect choice. Using the 14 pre-programmed settings, you will not only be able to pressure cook but also slow cook, steam, warm and cook rice. To make it even more use-friendly, it comes with 8 one-touch settings to cook soup, meat or stew, congee, beans, rice and Multigrain. Moreover, you are able to manually set the time with the delay-cooking timer if you prefer so. With the delay-cooking timer, you can choose any time period from 0-24 hours that will offer you the convenience of hot, delicious and healthy dish waiting for you to arrive from work. As well, considering that it delivers meals much quicker than conventional cooking methods, it will save you a lot of time and cut off from your energy bill. One of the top features of the IP-DUO60 is that it comes with two pressure level settings. Pressure setting for LOW and pressure setting for HIGH. Using the LOW pressure setting will enable you set a longer program. Having the ability to set the pressure LOW and HIGH is fantastic because the pressure cooker will perform and cook considerably more effectively. In general, pressure cookers are meant to cook meals, to start with, at high pressure, then switching and maintaining a low pressure. Obviously, it becomes evident that with only one pressure level setting (high), it will be far more difficult and inefficient to prepare tasty and delicious meals when you cannot choose LOW pressure level. It’s worth mentioning, since we are talking about health, that this pressure cooker includes a non-stick coating stainless steel construction on the inside. Therefore, this cooker is ideal for those users who worry about Teflon coating. This pressure cooker is highly recommended by current owners and the PROS clearly outweigh the very few CONS. It has everything that you need in a pressure cooker, fantastic features, durable construction and most of all, extremely efficient. Overall, the Instant pot 60 is one of the pressure cooker units that has quickly climbed up the bestseller list and is among the most favored electric cooker being sold today with over 50 million units sold worldwide. With stylish look, this Instant Pot 6-Quart capacity 6in1 pressure cooker is going to fulfill all your cooking needs. It has embedded microprocessor using a third generation technology and by making use of that technology, this pressure cooker is the perfect kitchen appliance to provide you with healthy and delicious dishes. What is so great about the IP-LUX? First off, it is electric and includes 10 built-in programs so you are guaranteed to be able to cook your favorite dish with just a touch of a button. It includes a user- friendly control panel with a large display so you can instantly cook your meal in your preferred settings. The settings that you can choose from include soup, rice, beans, meat, sauté, multigrain, slow cook and steam. This pressure cooker is a “6 in 1” multitask-pressure cooker that allows you to have 6 different cooking appliances in just one compact unit. It will work as a warmer, pressure cooker, slower cooker, sauté and steamer. It has a delay-timer that you can set and the cooker will start at any given time of up to 24 hrs. Another awesome feature is the Keep-Warm function that will be automatically triggered after pressure cooking is done to keep the food warm. With the Instant Pot pressure cooker that has all this programmable features and functions, you would think it’s complicated to use, but you will be amazed by how easy it is operate and how convenient it is for all your needs. Out-of-the-box it comes with a rack for steaming, along with a rice paddle, measuring cup and a soup spoon. It is worth the price tag because you are actually receiving a unit that will cook in 6 ways for the price of one. Therefore, having in mind the price and its function, it is a bargain price and it will replace you rice cooker, slow cooker and steamer! I hope by now you are able to make informed decisions on what brand of electric pressure cookers you should invest in. The reality is that an electric pressure cooker provides one huge advantage over stove-top models, and that is the convenience of not having to constantly monitor the pot. After browsing through the reviews above, it should be clear by now that electric units offer a lot of effectiveness in cooking. Having an electric pressure cooker is definitely contemporary wonder because of all the automated features it provides, as an alternative option you can look into hard-anodized pressure cookers if you are looking for quality without the electric functions for your pressure cooker. In case you have got adequate space in your kitchen and you have already a stove to fulfill your other cooking needs, then an electric power pressure cooker might be your perfect solution.